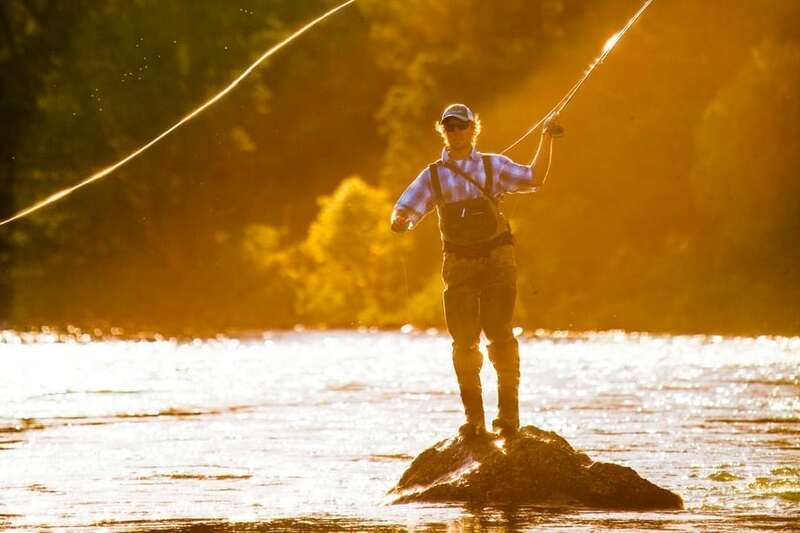 Are you looking to experience the exceptional fly fishing rivers of Patagonia? During the winter months in the northern hemisphere, why not roll back the clock, grab your fly rod, and head to the magical world of Patagonia, Argentina. Here you will experience the world’s most incredible trout fishing in perhaps the most hospitable nation on earth – Argentina. You will have the opportunity to fish up to 6 different rivers during your stay, then return to the Ranch at the end of each day. Our central location on the banks of the Rio Chimehuin gives us easy access to all of the famous rivers of Northern Patagonia, which includes the Chimehuin, Caleufu, Collon Cura, Alumine, Malleo, Quemquemtreu and the Quilquihue. Furthermore, whatever the conditions, we have the flexibility and experience to put our guests on the rivers that are fishing best during your visit. CONTACT US | © 2019 All rights reserved.